In an environment where management decisions must be made on the fly, sales must be actioned immediately and businesses must operate in a more agile, efficient way, outdated business management solutions slow down business growth. This emerged at the Sage Evolution Executive Forum in Sandton recently. 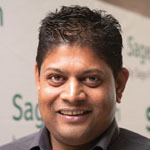 Sage Evolution solutions, designed to address these needs while taking into account local constraints such as bandwidth challenges and price sensitivity, are delivering significant improvements to customers across Africa, the Middle East, Australia and New Zealand, said Mosam. “For example, we have customers who had sales reps only returning to the office at the end of each day to file orders. Now, they are able to issue quotations and fi le orders immediately, from wherever they are, allowing for order fulfilment within hours instead of days.” These efficiencies not only cut operating costs, but also improve customer service, notes Sage. 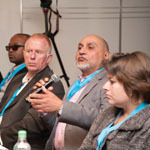 Mosam noted that while cloud is becoming mainstream, areas of South Africa and large regions of Africa are still challenged by unreliable or costly bandwidth. “To deliver the best of cloud within these constraints, Sage Branch Accounting allows our customers to transact at a local level, even when connectivity is unavailable,” he said.